In addition to state of the art data halls for high performance computing, Queensway Park will feature grade A office accommodation with security centre, client space, test and build rooms and facilities management operation. Designed as a modular co-location facility, Queensway Park offers clients flexible and scalable space where and when it is required. Built towards BREEAM outstanding standards the facility will target a power usage efficiency (PUE) rating of under 1.15 making it one of the most efficient in the world. Q 1 will be the first of 2 independent data centres on phase 1 comprising 60,000 square feet of technical space and office accommodation. 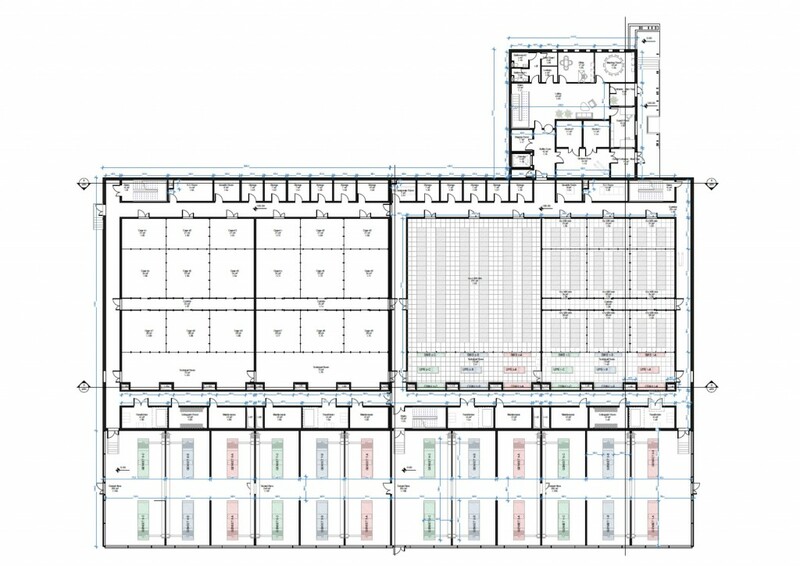 Each data centre has been designed to be as flexible as possible offering clients a number of options depending on preference including single secure halls and caged co-location configurations. Q1 with a load capacity of 5MW will be ready for occupation in the second quarter of 2018. Phase 2 of the campus will accommodate up to 120,000 square feet of data centre buildings and is available for a single user requirement of up to 10MW or in modular configuration for multiple occupants.